Hello! 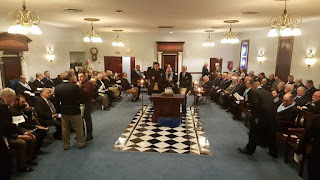 On this episode, our guest is Worshipful Master of Ephrata Lodge No. 665, M. Todd Hoak. 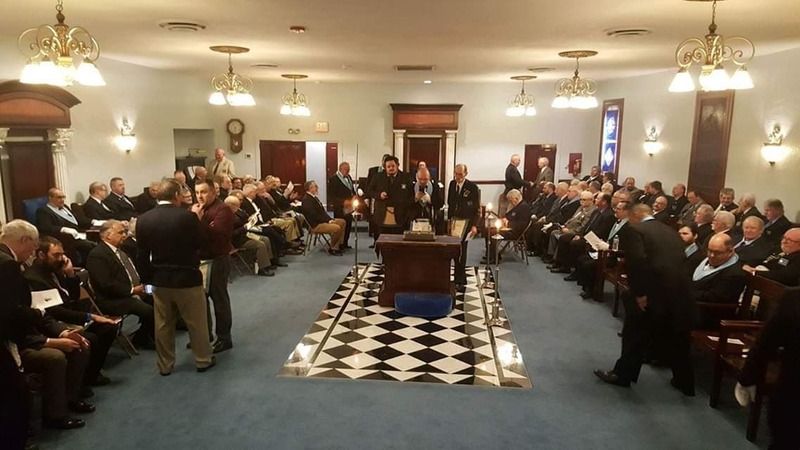 Recently, his lodge hosted an event featuring the bible upon which Brother George Washington took his Masonic Oaths and Obligations. It was a great event with a packed lodge room. We discuss how it came about and what it takes to plan and execute a successful event. Past Master Moyer called in with some words of encouragement for Larry, while Jack and Josh manage avoid his gaze. Enjoy! [00:11:15] First break, brought to you by the Historic Smithton Inn. [00:12:35] Beginning our discussion with WM Todd Hoak. [00:28:30] Second break, brought to you by George J. Grove and Son. [00:29:45] Past Master Moyer's Minute(s). [00:31:40] Jack Harley brings us back with WM Todd Hoak. Hello! On this episode, we finally managed to sit down with Bro. Ed Stumm. His story is fantastic and really shows the impact that the Fraternity can have on others, when we live up to our values and obligations. Bro. Dan Messimer also stopped by to sit in on the conversation and have a peak at the men behind the curtain. Symbologist Michelle Snyder presents a great segment about the origins of the Vampire, Jack Harley drops some news, and Past Master Moyer tells us how great we are. [00:00:00] Introductions, forgetting, and remembering. [00:12:45] First break, brought to you by George J. Grove & Son. [00:26:20] Second break, brought to you by the Historic Smithton Inn. [00:47:35] Jack Harley brings us back and Ed wraps things up.